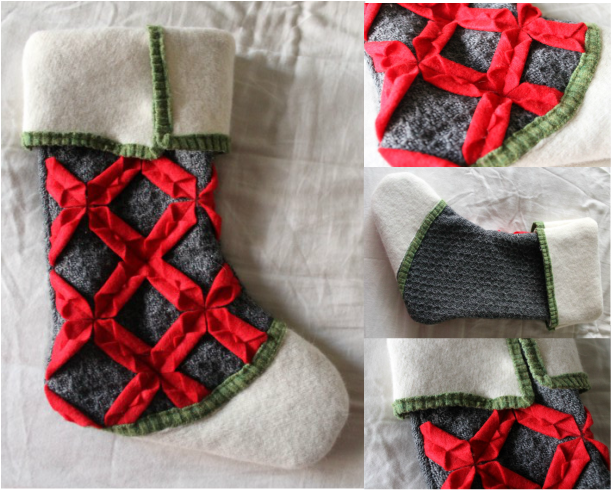 Every year, right before Christmas I think, "Next year I am going to finally knit stockings for Christmas", then I usually spend some time online looking for a pattern I like enough to make, but eventually Christmas comes and goes without any stockings being hung with care. So, last week this thought came, but instead of looking for patterns I could knit, I remembered a felt origami pillow I saw not long ago and loved. Some of you may remember the felt flowers I made a couple weeks ago from thrift store sweaters I felted. 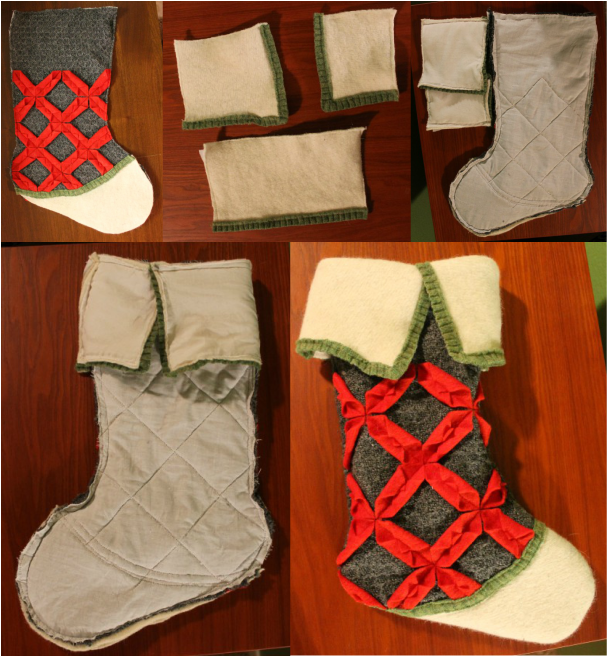 Well, I bought a couple more thrift store finds and went to town replicating that pillow in stocking form. I'm quite pleased with the end result. 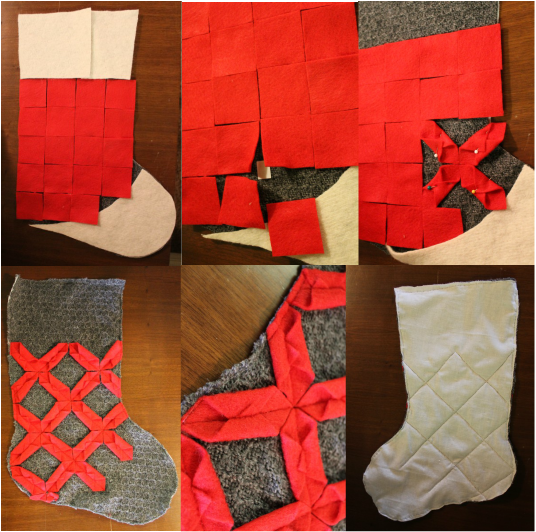 Start by cutting all pieces from felt. I also cut a lining from muslin for the background because the sweater I used was cotton (which doesn't felt) and stretchy.